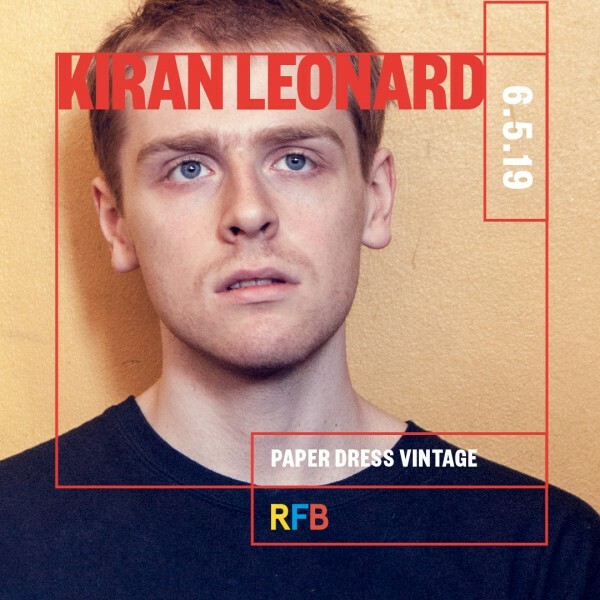 Kiran Leonard is a mercurially talented 21 year old musician from Saddleworth, Greater Manchester. He takes inspiration from artists such as Mothers of Invention, Sufjan Stevens, Deerhoof, Albert Ayler, the Residents, Krzysztof Penderecki, the Beach Boys, Don Caballero, Godspeed You! Black Emperor and Adrian Belew. After releasing countless digital-only releases via Bandcamp, Kiran garnered much acclaim for his debut album Bowler Hat Soup, and later signed to Moshi Moshi to release second album proper Grapefruit. Both of these records featured x3 BBC Radio 6 Music-playlisted singles, and were crowned Album Of The Day upon their release. Latest record Derevaun Seraun is in five movements, each inspired by a different piece of literature, arranged for piano, strings and voice.